The more I learn about Catherine Pugh's book deal with the University of Maryland Medical Center the seedy it gets. Now it seems that no one can actually identify if any books were distributed. The remaining stock of those books sits unopened in boxes in a warehouse. I know the cost of printing books. The figure of $400,000.00 of the $500,000.00 doesn't quite add up. I believe that her kickback exceeded the $100,000.00 that Catherin Pugh said she profited from this shady deal. Catherine Pugh indicated that 100,000 books were printed which meant that each book would have cost $4.00 each to print which is extremely high for a paper cover book with no actual photos just illustrative drawings plus most likely stapled pages. In addition, only 8,700 books have been located in a Baltimore City Public School Warehouse which now the cost of printing those 8,700 books based on the $400,000.00 cost given by Catherine Pugh now drives that cost of production to nearly $46.00 per book which is not only astounding it borders on the unbelievable. 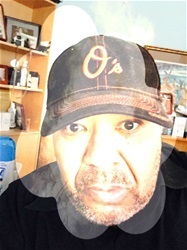 There needs to be a full accounting of the entire $500,000.00 payment received by Catherine Pugh from the University of Maryland Medical Center Board of Directors. If these funds cannot be fully accounted for then Catherine Pugh must resign from her current position of Mayor of Baltimore City and the entire case should be turned over to the federal prosecutors, and the Federal Bureau of Investigation to pursue any criminal malfeasance on the part of Catherine Pugh and or any other member involved in the distribution of those funds by the University of Maryland Medical Center's Board of Directors. Baltimore City school children are lagging behind other children in educational growth especially in the discipline of literacy development. If those funds were distributed to Catherine Pugh for books than maybe a better idea would have been giving the Baltimore City Public School a grant devoted to the purchase of actual health-related books to encourage healthy habits and build literacy development. Something about this entire situation seems awfully shady especially when you have an elected official shielding the exact perimeters of the entire deal. Former Mayor Sheila Dixon was drummed out of office and convicted for misuse of gift cards but this situation far exceeds those misdeeds. The residents of Baltimore City definitely should be provided a full accounting of this situation Catherin Pugh. They need more than your resignation letter from this board. the reality is that is the facts are drawn out clearly they need a resignation letter from your current position of Mayor. It surely doesn't take $400,000.00 to print the 8,700 Healthy Holly books that have been found. 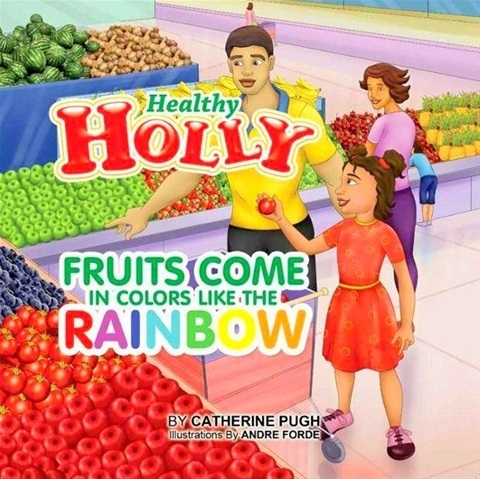 Also Healthy Holly in Baltimore City? Really, how about Healthy Habibah at least you could have given the child a historically relevant Swahili name. Habibah means beloved which is definitely far more in tune than Holly. Who in Baltimore City names their black child Holly? You are an alumnus of my alma mater, Morgan State University, so I want to give you the benefit of doubt. Yet Nathaniel Oaks was also an alumnus of Morgan State University and he got his hands caught in the cookie jar of criminal malfeasance. So being a graduate of Morgan State University doesn't excuse criminal behavior and this situation is just too damn murky and slimy not to rub some grim not only on you but also on your entire administration. Why does our community continue to support the election of individuals who don't truly care about uplifting our communities but greasing their pockets? I believe only about 30% of those registered to vote actual vote and the current mayor received only 36% of the vote in the only election that mattered in Baltimore the Democratic Primary in 2016. We just have to do better in selecting who represents us in government. So that every resident can receive a square deal, not just the elected candidate who gets their pockets greased in a crooked deal.